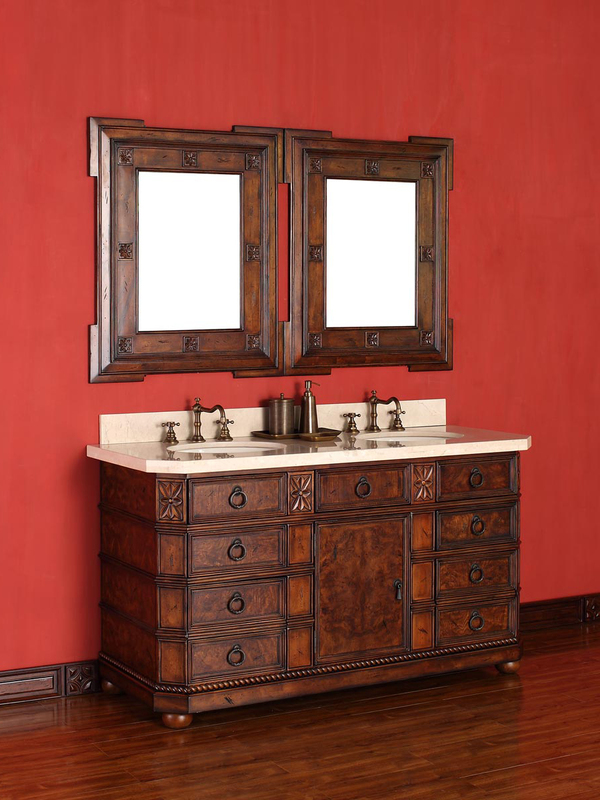 Rustic in style, modern in durability, this 60" Regent Double Sink Vanity was designed to be the very center piece of your bathroom. 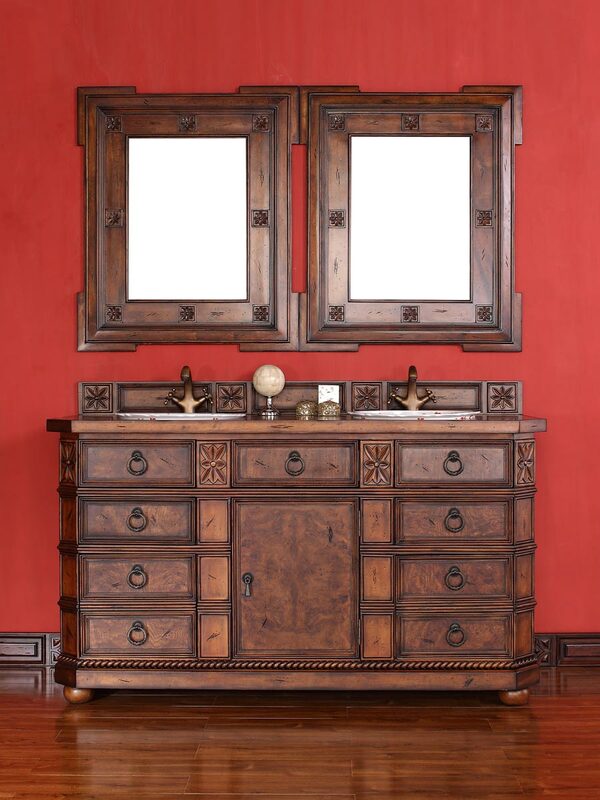 Featuring a solid wood cabinet made from ash and birch wood, it is finished with a deep English Burl finish and features beautifully hand-carved details. 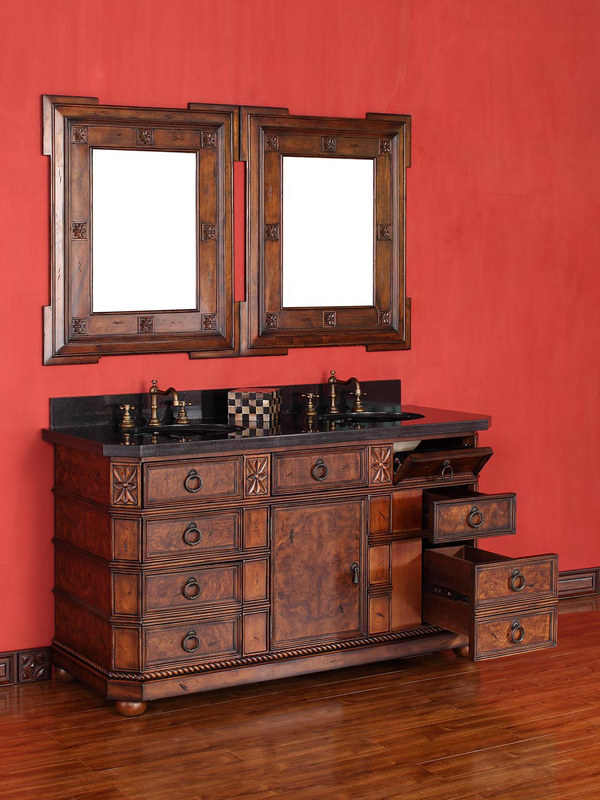 Two small drawers, two large drawers, two hide-away drawers, and a single-door cabinet give you plenty of storage space in a small vanity. 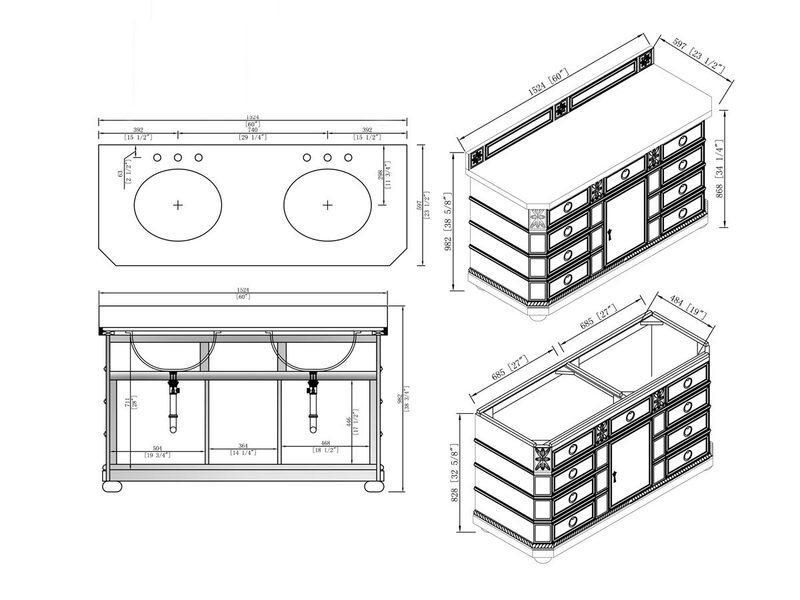 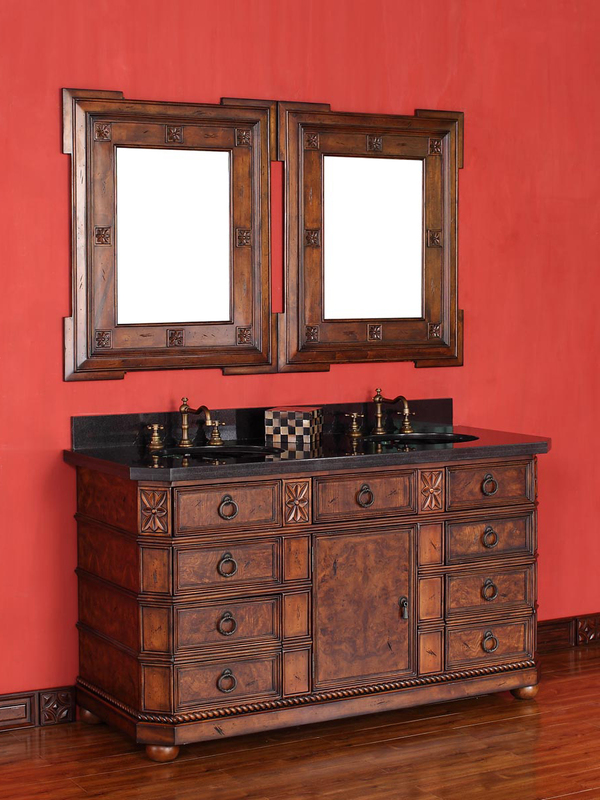 Each drawer front features an antiqued drawer pull with an Antique Brass finish. 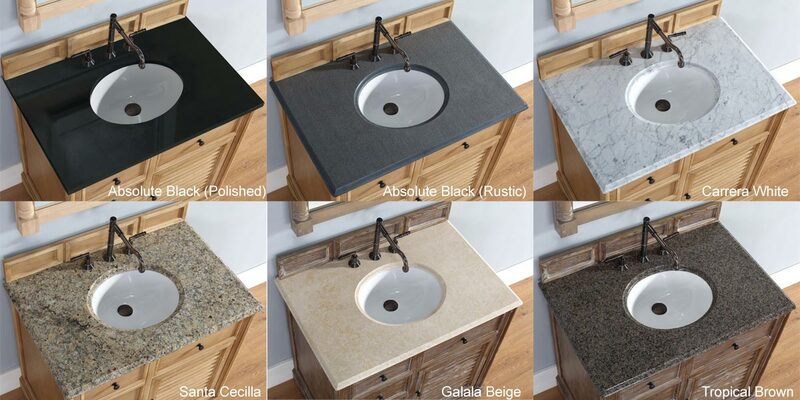 The top is available in 6 beautiful options, allowing you to choose from a matching wood top or any of the stone tops available. 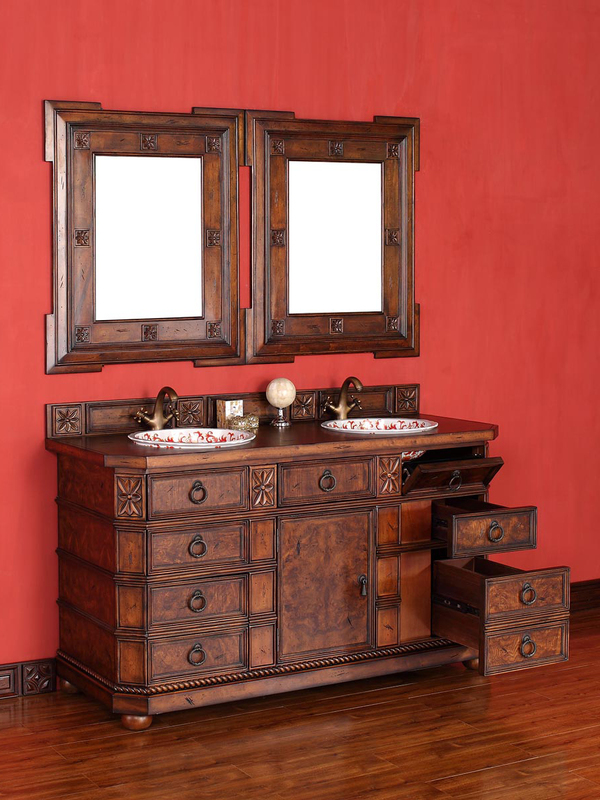 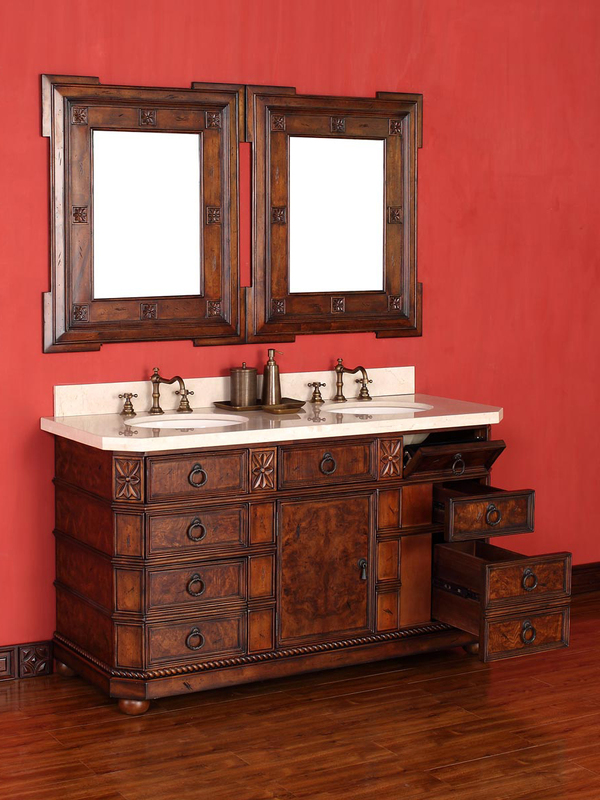 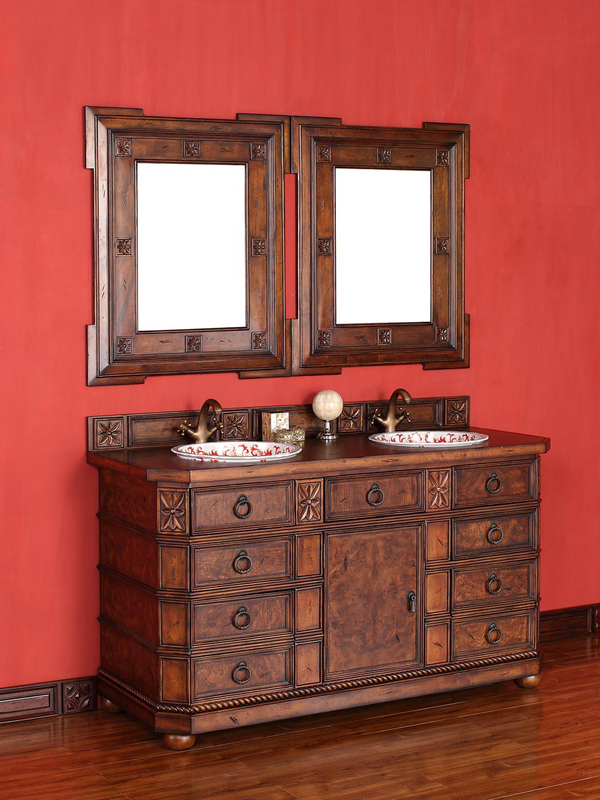 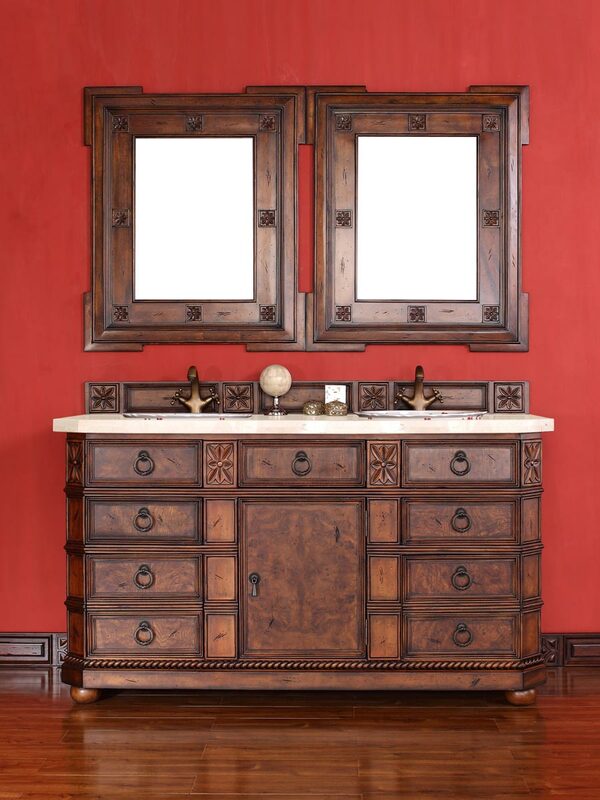 Add its matching mirror to give your new Regent vanity a look that will prove to be timeless.